Overseas Property For Sale Holiday Homes Villas Houses Land. Overseas Houses for sale, Cottages, Farms, Villas, Holiday Homes, Land, Lodges, Property and businesses for sale. Holiday Homes, Villas, Houses and Land for sale. Looking for a new house, bungalow, flat, land, holiday home or farm overseas. Lovely 4 Bed Home for sale in Maroochydore, Queensland, Australia. Wishing to return to Devon!!!. home plus furniture and 2 cars for sale...can be seen on internet. lovely location Twin Waters Sunshine Coast....Queensland. Rhodopi. Tsigov Chark is located in the western part of the Rhodopi mountains at approximately 1000 m above sea level. The fresh mountain air and the beautiful nature in this area make it attractive for vacations round the year. In the resort there are ski slopes, possibility for snowboarding, water sport, hunting, fishing and even climbing. The area is one of the healthiest places to live on Earth; allergies free and often life extended over 100 years! A charming, tastefully furnished two double bedroom townhouse on a small select development in Peyia with sea views, swimming pools & beautiful private & communal gardens. Perfect for permanent living, holiday retreat &/or rental income. Cyprus, Paphos, stone built 2 bedroom bungalow for sale - perfect retirement home! Gorgeous stone built cottage, 100 year old, yet fully modernised in 2003. Two bedrooms, large sitting/dining room, bathroom, thatched ceilings, open fire, exposed beams and stonework, large patio terrace, off street parking for two cars, garden, down private lane with gorgeous, quality British neighbours, only 10 min beaches and town, walking distance to village shops. 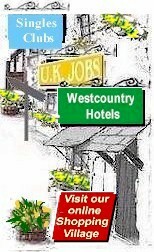 OR RENT EXCHANGE £400 per month for South England home. Looking for an apartment for holidays up to 50,000 Euros. Large 1950's stone property in small beautiful rural hamlet, close to all amenities, an hour from the coast, port and airport. Two,three or four double bedrooms, kitchen,lounge,dining room, shower room, two toilets, family bathroom. Gorgeous views, over an acre of landscaped gardens. Spacious accommodation with 3 bedrooms, 2 bathrooms. One large bedroom and shower room on ground floor, also living room, dining room and large fitted kitchen, and utility room. 2 large bedrooms and family bathroom on first floor. Also large loft area which has been floored, wired and insulated - easily made into another 2 bedrooms + shower room. The house has lots of character, an enclosed garden and comes with the field next to it. Close to ferry ports and airports, 20 minutes from the coast. This property would make an ideal holiday home, or an investment for letting or great to live in. The property is in a small, peaceful hamlet just north of N12, local to shops, schools, restaurants, bars, bank, post office etc. Viewing a must!. Only 28m From The Beach In Kokkali, Leros. Large villa (400 sq.m) with 3 apartments and pool in stunning location with mountain and sea views. We have been renting the apartments as tourist accommodation for 9 years. Fully furnished and equipped, with website. Price £375,000 or swap for property in the UK, preferably in the SE. to the very highest quality. At heart of the area will be the village square surrounded by shops, cafes, bars and palm trees. Down near the ocean will be a fully equipped beach club for all your water sport needs, plus you're a golf ball's throw away from Praia D'El Rey's award-winning 18-hole championship links course. And for complete peace of mind, the village is fully maintained and has extensive security. The Boulevard – Sesmarias/Sao Rafael, Albufeira, Algarve, Portugal. Fantastic Opportunity: Reduced Price £475,000 from £675,000 – exchange or part-exchange for a property within the West Country of England. Situated in the quiet area of Sesmarias; 7/8 Bedroom, 5 Bathroom - Charming cottage effect villa which is located close to cove beaches and the extensive beach of Gale. The property has enormous business potential as it was previously run as a fully licensed, successful restaurant/bar and could easily be adapted to B&B with a family home. Scope to build first floor apartments – plans on request. french doors onto terrace, 2nd terrace, 3 bedrooms fitted wardrobes Furniture is to be negotiated separately. Seychelles beachfront dougla 4 hectares of lush vegetation and wood with beachfront, convenient for agro tourism. South Africa - Unique15 Acre Industrial Property for sale Durban, South Africa. Unique industrial property for sale in Shongweni Natal, 30 minutes from Durban, bordering a game reserve. Currently producing £32k p/a in rentals. The property also has a 4 bedroom Thatched House - live and work on the same property. Unwind and change your lifestyle for £650k. Alternatively convert the house into a B&B with the potential to convert the property into a residential development. Beautiful unencumbered 2 bed, 2 bathroom Spanish townhouse. Located in a privileged area that enjoys on average 320 days of sunshine each year. Front yard with additional (outdoor) dining area with retractable sun blind. Covered lavadera with washing machine and storage for bikes at the back of the house. Communal Pool. Build completed in 2004. 10 minutes walk to the Mar Menor (Villananitos playa). Both the Mediterranean and Mar Menor are in easy walking / cycling distance. Short drive to a number of top class golf courses. 15 minutes drive to San Javier airport. 10 minutes walk to local bars are restaurants. 25 minutes drive to the historic city of Cartagena. and 30 mins from a large town. The property is only 5 years old with all its legal documentation . Exceptional location for out riding with miles of off road tracks into the mountains through olive groves and almond trees. Pictures available upon request. lovely small house + separate guest hse( mob. home) on large plot land ,Valencia region Spain. Total 3 bedrms/2bathrms.All in good condition. Could be home & income. Very low overheads. Large detached bungalow. Near Altinkum,Turkey. A 3 year old bungalow, on a 350 sq mt corner plot, in quiet location. A genuine 5 minute stroll to the beautiful seafront. Fully furnished with quality goods. to beach photos on demand. 1 bathroom/ 1 toilet /kitchen lounge / large covered roof terrace/ 2 balconies/ covered patio and small garden. low yearly costs. furnished and panoramic sea view. Turkey, Dalaman, 3 bed luxury bungalow for sale by owner or part exchange. Orchard view villa, luxury bungalow, large corner plot 557m2, peaceful location, surrounded by orchards, yet only 1km from town. Picture gallery on Facebook or Weebly. 5 bed Freehold sea view villa Bodrum Turkey for exchange with UK property. This property was bought 5 years ago for £55’000, being sold for low price due to not having the money to make the property water tight. The property leaks when it rains, I am sure it wouldn’t cost more than £5000 to fix but I don’t have this money.